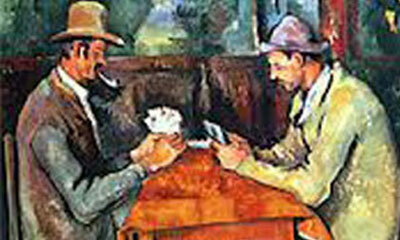 Paul Cezanne was a French artist who formed the link between Impressionism and the 20th century cubism. He was born in the Aix-en-Provence, France in 1839 and moved to Paris in 1862. He was praised by both Picasso and Matisse as the "father of [them] all." While in Paris, Cezanne befriended the Impressionist Pissarro. Pissarro was a huge influence in Cezanne's career and the two worked very closely together on paintings. Cezanne demonstrated a mastery of color, design, composition, and draftsmanship (draftsmanship is being an artist). His unique and exploratory brushstrokes are very clearly noticeable and identifiable. He used small brushstrokes and planes of colors to build complex fields of color. His preferred subjects were landscapes, portraits, and bathers. Although his subjects didn't change, his method of painting changed throughout the years. Ironic because he stated wanting to turn Impressionism into "something solid and durable, like the art of museums." 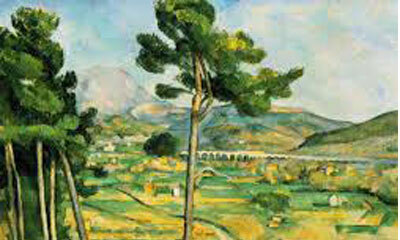 Although Cezanne wanted to develop Impressionism, his paintings from the 1870s show the influence impressionism on him. In House of the Hanged Man (1873-1874) and the Portrait of Victor Choque (1875-1877) he painted the subject directly and used short, brushstrokes.